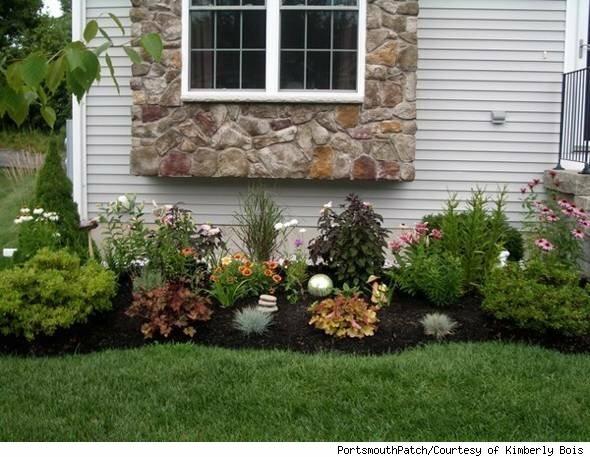 A condo association in Portsmouth, N.H. is suing a resident for having planted flowers in her yard. Kimberly Bois has "daisies, bearded irises, lavender, hydrangeas and tulip builbs" around her home in the Atlantic Pointe condominiums, where she has lived since 2008. According to the Portsmouth Herald, many of the plants are heirlooms from her late mother. She told the newspaper that they were planted with the permission of the developer, before the condo board even existed. But the association has sent her 13 certified letters, beginning with a cease-and-desist order and escalating to a demand that she remove the plants and pay thousands of dollars in fines and penalties. PortsmouthPatch reports that Boise offered to settle the dispute by paying up to $3,000, but that the condo board rejected the offer, instead insisting that she pay all of their legal costs and fines. "Every month I get a certified letter of what my assessments are, and I'm up to $5,500," Boise told PortsmouthPatch. "It's kind of like they sucked the joy out of owning my first home." Last month a notice reportedly arrived informing Bois that a lien had been placed on her unit for $4,500 in back fines. The board has also reportedly demanded that she pay the $8,000 in attorney's fees it has accrued in the course of suing her.But Bois is fighting back, with a lawyer of her own: She and a neighbor have hired attorney Paul McEachern. "I guess it just goes to show that a condominium is the worst form of democracy ever invented," McEachern told the Herald. "They probably have less stringent rules in a penitentiary." According to McEachern, the condo association wants a judge to order his client to get rid of the flowers, restoring her front yard to its original state -- "crap," in his description. The association also wants the work to be done by board-approved contractors, paid for by Bois. "It's a goodly amount for a few flowers," McEachern said. "Once you think you've heard everything, you hear something new." Bois was more blunt in her assessment: "It's the stupidest thing I've encountered in my life." She and her late mother planted the flowers in mulch beds built by the developer in front of her home. The developer's wife had been planting annuals; Bois offered to plant perennials instead, and says that she has a letter from the developer allowing her to do so. Bois' gardening -- which also included the planting of two evergreen trees and some hydrangea bushes, as well as the watering and weeding of a patch of ground out back -- has been judged "development of the property" by the condo association. "It's not a logical response," Complained McEachern, who described himself as a casual gardener and said of the planting: "I was impressed. It looks like it was professionally done." According to the condo association's attorney, Sandy Roberts, the grounds surrounding the condos are in a common area, subject to the board's control. He says that when Bois was allowed to plant the flowers, she was told the permission was temporary and might be revoked in the future. "It's not about do you like these flowers or don't you," Roberts told the Herald. "It's a question of was it authorized and is it permanent." He expressed concern that if Bois and her neighbor, who built stone walls and a patio, were allowed to keep their unauthorized landscaping elements, "the guy next door will say, 'I want to do it too.' "
"It's a microcosm of democracy," Roberts said of the condominiums' government. "If you don't have the votes, you don't win." • Last summer, an HOA filed a cease-and-desist order to stop construction on a house being built for a wounded Army vet in Evans, Ga. The nonprofit group Homes for Our Troops was about to start work on a residence for Amy Sgt. 1st Class Seans Gitens, who was partially paralyzed by an IED in Iraq. According to the HOA, Homes for Our Troops had not submitted the necessary paperwork, a charge the group disputed. An HOA spokesman eventually revealed that some property owners were concerned Gitens' customized, single-floor dwelling would depress home values. • In Lexington, Ky., the Andover Forest Homeowners' Association demanded that a family remove a therapy playhouse for their 3-year-old son, who suffers from cerebral palsy. Following a public backlash, the HOA relented, temporarily; a state lawmaker said at the time that he planned to introduce legislation making it illegal for an HOA to ban property features necessary for therapy. • And in Pittsburgh, Pa., an HOA removed a 150-pound Virgin Mary statue from the Vaskos' front yard, saying it would not return it until the family paid fines totaling $4,000. "Would that be extortion or kidnapping?" Steven Vasko. "You tell me, I don't know."